This past month we’ve been collectively daydreaming about tractors rolling through hopyards. We’ve been sitting at our desks, gazing off into the distance and imagining long, green bines being trimmed from trellis wires. 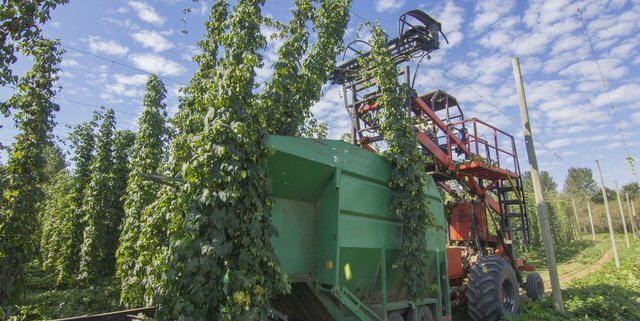 We’ll occasionally dream wave to smiling farmhands happily making hop mounds in large trucks, and before we can jump in those piles, driving off anxiously to onsite processing facilities. This head trip actually seems pretty real since last year around around this time we were in Oregon for the hop harvest. 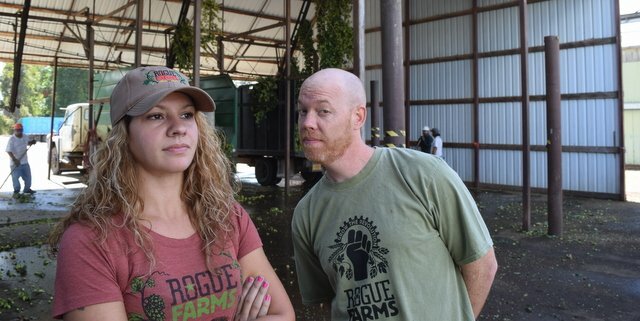 Actually, we actually visited and stayed at Rogue Farms in Independence, which supplies Rogue Ales and Spirits with tons of fresh ingredients (from hops and barley to pumpkins and marionberries). That trip was quite magical. In fact, compare Rogue’s video (above) to the one we made last year (below) on that enchanting beer journey to Independence. Back to daydreaming.